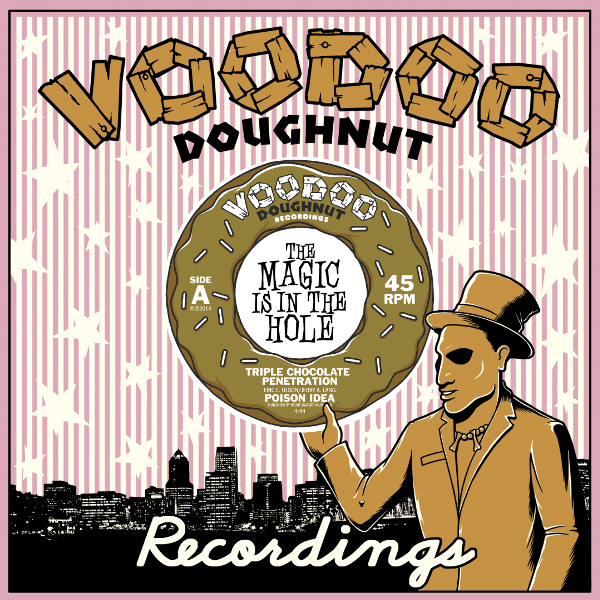 The Kings of Punk are back with a doughnut record! On Side A, “Triple Chocolate Penetration,” Jerry A brings out his inner beast, goes down to Old Town and smears three different kinds of chocolate all over his face. 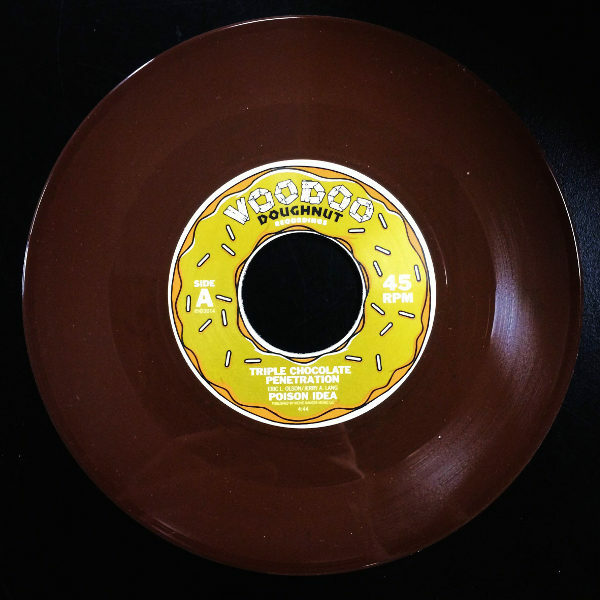 The B-Side, “Hypoptic,” is a real rocker, fast and loose, reminiscent in sound and spirit of the New York Dolls. And it includes a message from beyond the grave from PI guitarist Tom “Pig Champion” Roberts. Rest in peace, Pig. Thanks for this posthumous release!